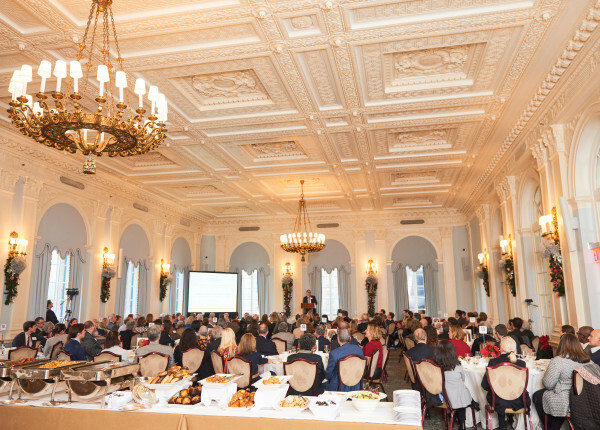 The Archive Project celebrates the birth of legendary preservationist Albert Bard each year with a breakfast benefit at the Yale Club of New York City. 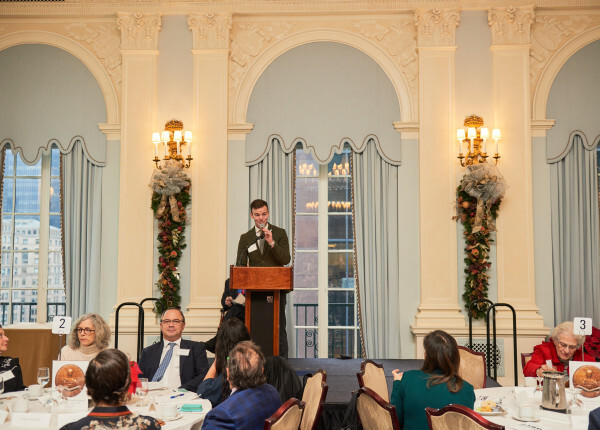 This year, NYPAP honored the incomparable Joan K. Davidson with our 2018 Preservation Award for her steadfast support of efforts to document preservation history. You can read more about Joan K. Davidson below. 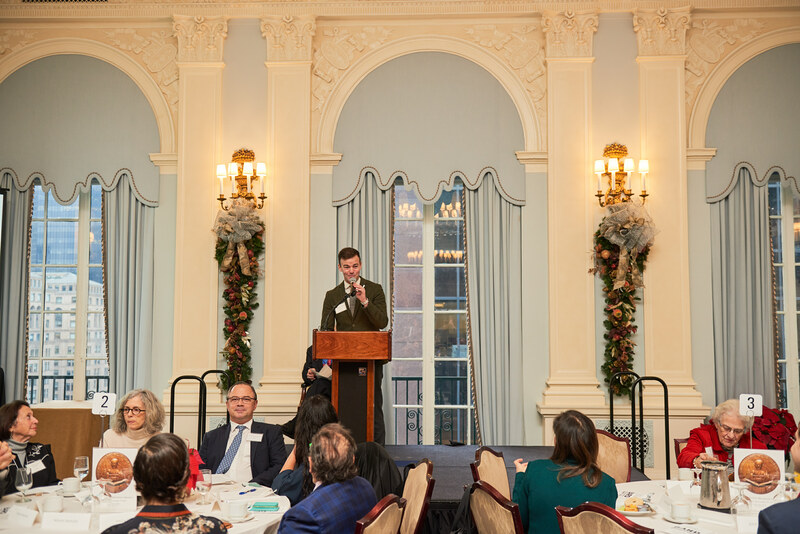 The Bowery Boys engaged attendees as the featured speakers, giving a behind-the-scenes account of how the duo use archives to prepare for their podcasts focused on New York City history. You can read more about the Bowery Boys below. 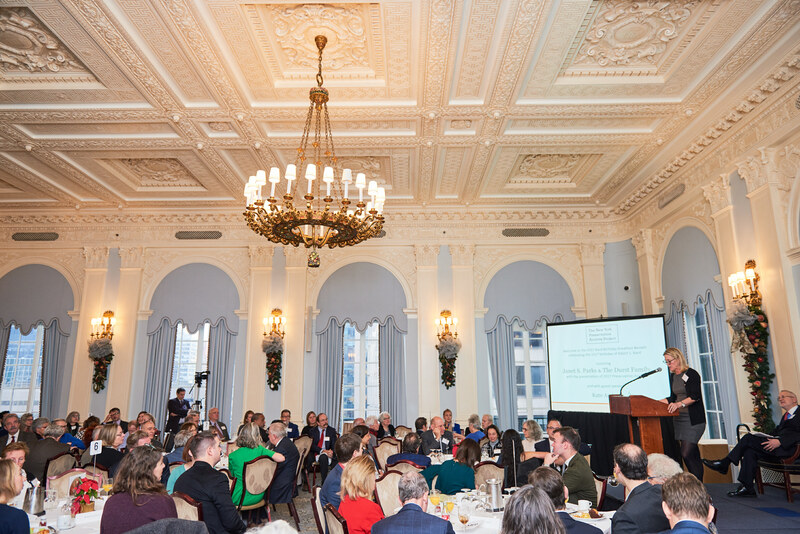 Joan K Davidson: While Joan K. Davidson is known throughout New York City and beyond for her charitable and civic works, many through her association with the J.M. Kaplan Fund, and earned many accolades, the Archive Project is honoring her this year for a different reason. 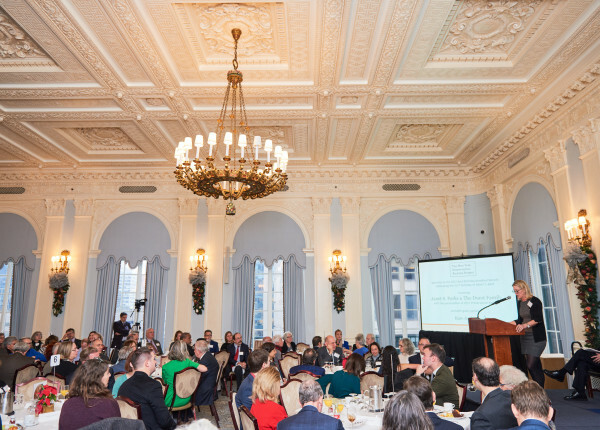 Specifically, Davidson is being honored for her decades of efforts helping to capture and disseminate the story of the historic preservation movement in New York City. 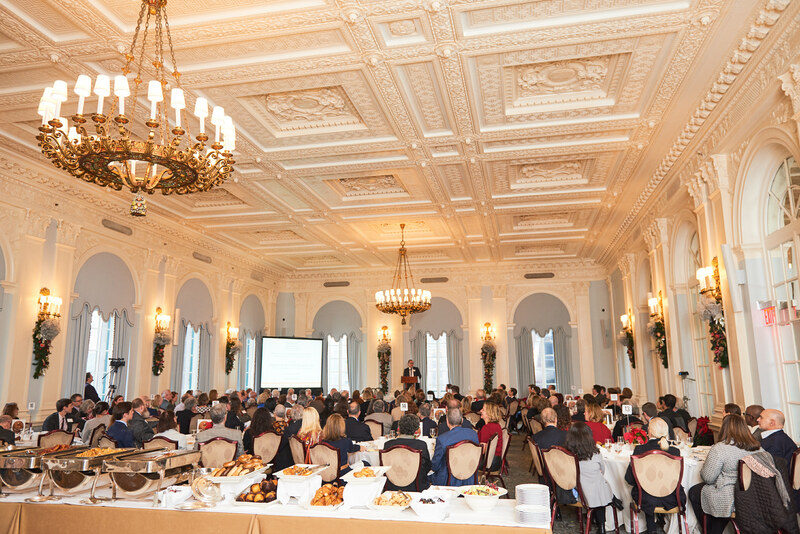 Because of Davidson’s will, enthusiasm, conscience and funding, more people have come to know how Gotham’s greatest landmarks and neighborhoods were saved through a variety of different methods. 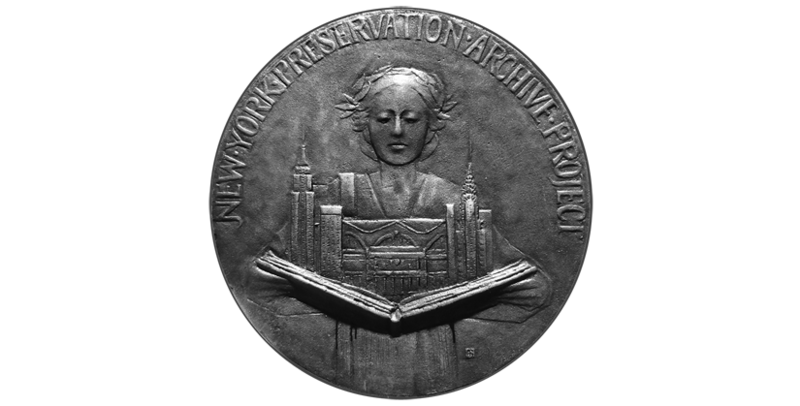 For example, From 1995 through the present, Furthermore, founded by Davidson, has provided grants that helped fund publication of over 150 books, pamphlets, maps and other printed educational materials—a number of which capture parts of the story of historic preservation in New York City. The Bowery Boys: The award-winning duo of Greg Young and Tom Meyers has, for years now, dusted off history, taken it down out of the attic and served it up via podcast, garnering thousands of loyal followers in the process. With monthly, in-depth shows about New York City historical topics…how do they prepare, factually, for each fun romp into the past? They use archives! This notion is near and dear to the mission of the Archive Project; it’s of utmost importance for historic preservationists and preservation organizations to maintain and find long term homes for their papers and other archival materials lest the story of preservation be forgotten. As The Bowery Boys will make clear, if there’s nothing in an archive about a fight to save, say, a musician’s home in Queens or a neighborhood in Staten Island, what will a future author or researcher have to go on when telling the full urban story of New York?